As a volunteer with other Trauma Response Team members, we respond to homicides in Pittsburgh’s Allegheny County to provide immediate, on-site psychological and mental health care to residents and others affected by violence. This program is the only one of its kind in the country. After 40 plus hours of training, my first deployment came on Friday, May 11. I felt prepared with the training I received, the drills we had; and, I cautiously looked forward to being part of a responding team. However, in the moment of the actual call, I was fearful. Yet, I also experienced peace and grace to be present and minister to a community that was traumatized. My mystery is Jesus the Good Shepherd and on my way to my deployment I prayed…”the Lord is my Shepherd, I fear no evil for you are with me….” And so, I journeyed. After meeting at the rendezvous point, the Trauma Response Vehicle from FOCUS Pittsburgh carried a team made up of an incident commander, a safety commander and five trained volunteers. We traveled to our location to provide immediate, on-the-spot trauma care to those impacted by a homicide. We formed teams of two responders and began walking the street in the immediate area where the shooting occurred. We were outfitted with bright orange vests with the words TRAUMA RESPONSE TEAM on the back and FOCUS PITTSBURGH on the front. We also carried a radio for communication and a backpack with items needed to offer comfort and aid. 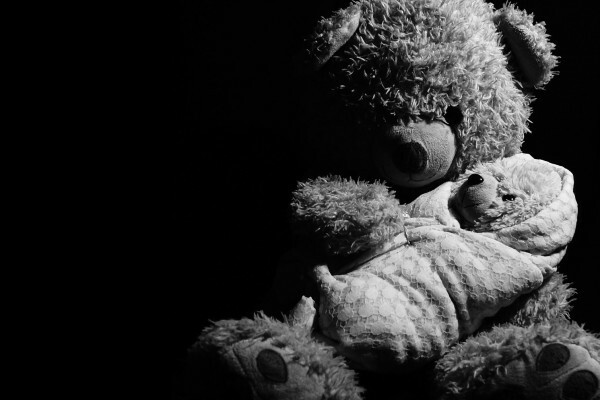 In the pack were teddy bears and other items to offer children who often experience the violent act first hand. As we walked in the complex, we interacted with those affected by the murder in their community. We engaged some in conversation, offered assistance and referrals for those who were interested. And then it happened, the children came. Immediately, the Trauma Response Vehicle became a safe space where the children were fed macaroni and cheese, water and snacks. The parents had a safe place to talk privately with volunteers trained in trauma care who helped meet basic needs and offer resources available in the extended community. As the night went on, the children reluctantly returned to their apartments and the teams once again walked the street engaging residents of the neighborhood. We experienced expressions of gratitude for our care and presence. One gentleman said, “You must be good people because no one else comes here to help us or see how we are. You be careful because this is a bad place, lots of bad stuff going on here.” We also got questions about who we really were and if we were part of the government or police or welfare system. We simply explained we are from FOCUS and we are here because we care. Some knew about the work of FOCUS on the “Hill” but walked away. During our debriefing, Fr. Paul shared that while we were doing our final walk through the street he received a radio message. It was reported there was the potential for retaliation in the area. He believed that our compassionate presence most likely deescalated the threat and that perhaps we saved some lives that night. I am blessed to be part of this hopeful ministry and to have the chance to be in-mission in such a unique way as a Sister of the Holy Family of Nazareth who is serving as a trauma response volunteer. I continue to pray as I await my next deployment that the Lord will find me ready. In addition to her volunteer work with FOCUS Pittsburgh, Sr. Janice also serves as chaplain at LIFE Pittsburgh. She entered the Sisters of the Holy Family of Nazareth in 1973.